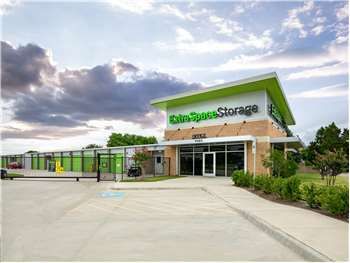 Located on Lyndon B Johnson Fwy just off Forest Ln, Extra Space Storage serves Dallas residents near Lake Highlands, North Dallas, Richardson, and Garland. Locals will recognize our facility next to Budget Suites and Exxon south of Chase Bank. Extra Space Storage on Lyndon B Johnson Fwy offers a variety of storage units, climate-controlled storage, drive-up access, and exceptional security. 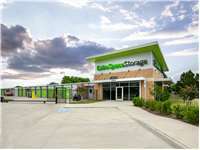 We're the storage partner for you in Dallas near Lake Highlands! Great Service & Clean facilities!!! Mike & Mike are great! This property is super clean and very well maintained. I would definitely rent storage from this location whenever the need arose! On North side of Interstate 635 service road, between Abrams Road and Forest Lane. Next to Budget Suites. Drive southwest on Audelia Rd. Pass Audelia Creek Elementary School and continue straight. Turn right onto Forest Ln. Turn right onto Interstate 635 Service Rd. Our facility will be on the right after Wendy’s. Drive north on Abrams Rd. Pass Forest Meadow Jr High School and continue straight. Pass CVS and turn right onto Forest Ln. Turn left onto Interstate 635 Service Rd. Our facility will be on the right after Wendy’s. Drive west on Forest Ln. Pass S Plano Rd and keep right to stay on Forest Ln. Turn right onto Interstate 635 Service Rd. Our facility will be on the right after Wendy’s. Drive east on Forest Ln. Pass Medical City Dallas Hospital and continue straight. Cross I-635 and turn left onto Interstate 635 Service Rd. Our facility will be on the right after Wendy’s.